If you have the capability of working on the equipment or have access to technicians in your region, purchasing the equipment As Is Working is the most cost effective way to purchase. Technicians in the US are expensive and it is to your advantage to do the work yourself or in your home country. 1) It is in good physical condition. 2) It is turned on and functioning. Our surgical supplier has technicians on staff that are trained in surgical lights, surgical tables and beds. Although the technicians on staff have general knowledge on other equipment they are not specifically trained on it. 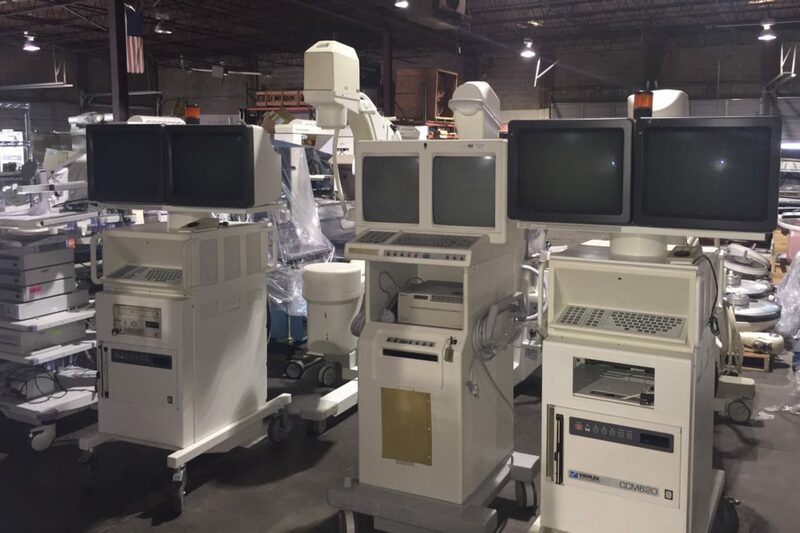 Therefore if a piece of equipment is provided Refurbished our surgical supplier has companies they work with that have certified technicians for that specific piece of equipment and our supplier takes care of the cosmetic work. 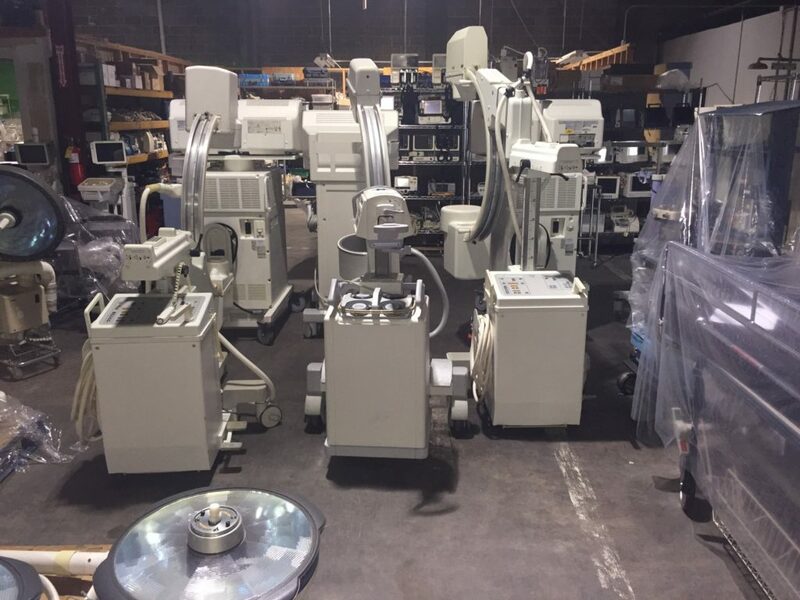 Our surgical supplier has a full service paint booth to repaint the equipment. Repainting is labor intensive the equipment needs to be stripped and prepped before painting and the paint is a special type and expensive. Again we provide As Is Working condition in good cosmetic shape it is the technical parts of calibration that need to be done to the equipment before it is used on a patient. For some pieces of equipment and projects it is possible to provide the equipment more than As Is Working. It depends on the piece of equipment and cost of technicians. 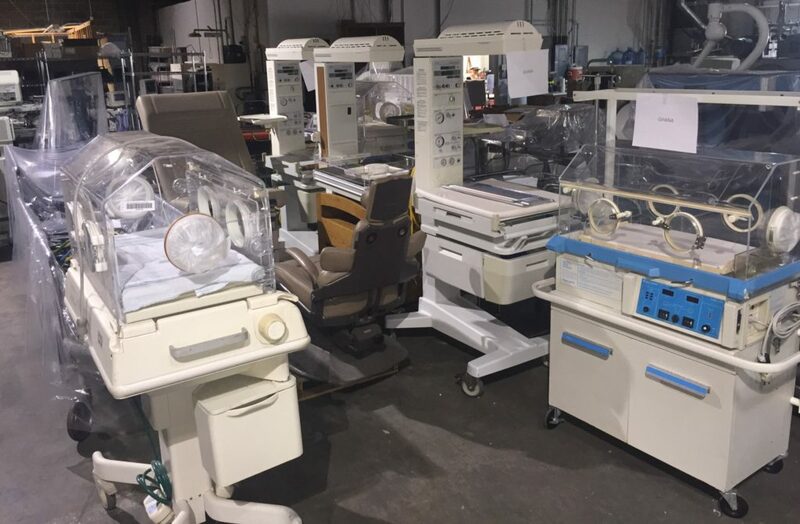 Surgical Tables, Surgical Lights, Anesthesia Machines, Scrub Sinks, Neonatal Incubators & warmers, Surgical Microscopes, C-Arms, Procedure Table/Chairs, Defibrillators, Infusion Pumps and much more. 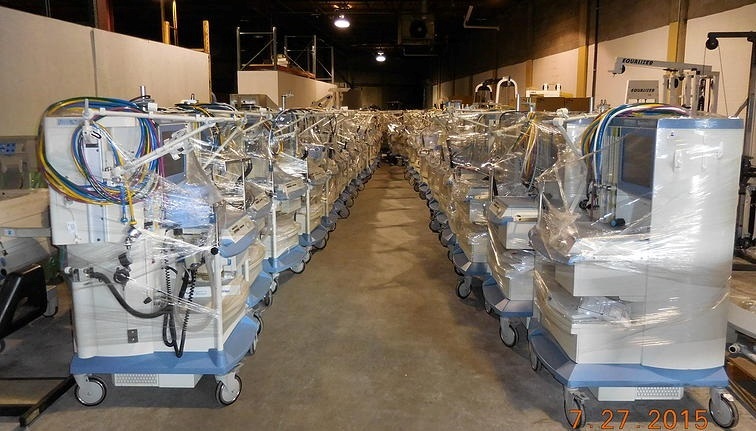 With enough lead time we can provide about 70% of the equipment that goes into a hospital. 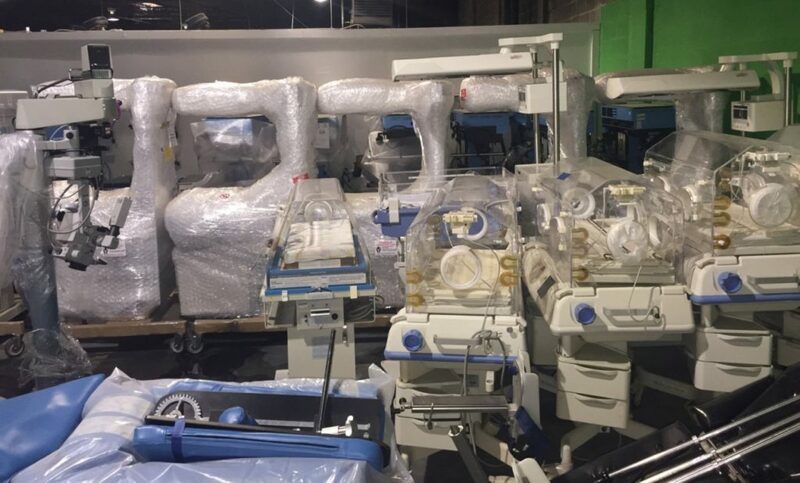 Below are pictures of equipment being shipped for current projects and in the process of being prepped.